It seems hackers are forever finding new ways to steal your data. Up until now, adhering to the standard spiel about security was generally all that was needed to keep your PC safe from intruders. However, with technology changing at such a rampant pace, it only makes sense that hackers would eventually try to exploit it. The newest potential victims are e-cig users. It has come to light that there are a number of Chinese e-cigarette manufacturers that are placing malware within their e-cigarettes. When the user plugs their e-cig into a computer’s USB port to charge, the e-cig installs malware on your system. This malware currently doesn’t start changing things, but rather begins to snoop on all your dealings. I believe this is only the beginning. As more products get manufactured overseas, we will undoubtedly see an increase in this type of malware. There is one way to combat this type of malware at it’s source though. Introducing the SyncStop. This little handy device allows your USB devices to charge on any computer without fear of becoming a guinea pig for the newest malware release. It essentially allows the device to charge, but prevents data transfer from happening. Now, more than ever, we need to do our homework when it comes to electronics manufactured overseas. It goes to show you, you never know what they will think of next. Malware developers are crafting new ingenious ways of getting their hands on your data. Unfortunately, users have only had a handful of resources at their disposal to prevent them. 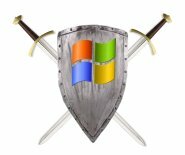 However, on November 10, Microsoft released EMET v5.1, or the Microsoft Enhanced Mitigation Experience Toolkit as other weapon used to wage the war against malware, hackers and vulnerability exploits. – Microsoft’s Enhanced Mitigation Experience Toolkit (EMET) adds supplemental security defenses to defend potentially vulnerable legacy and third-party applications. It uses numerous mitigation techniques to prevent exploits related to memory corruption. This is turn makes it more difficult for hackers to find vulnerabilities and exploit them. -Yes, there is a program that addresses MAC concerns as well. It is called Little Snitch, and is a network monitor that protects your privacy by monitoring both incoming and outgoing connection attempts to the internet. It asks whether or not a connection can be allowed on a program-by-program basis, and for how long. In addition to “EMET” and “Little Snitch”, there are a couple other things you can do to tighten security as well. Be cautious when opening emails. Never open suspicious emails as they may contains malicious code. Uninstall and remove Java. Malware developers are aware that most users religiously update their Java client, and as such design their malware to utilize Java for implementing their attack. Don’t download torrents or movies from online. Malware developers are aware that torrent/movie sites are hot sites. Therefore, they set out to infect the sites and/or downloads. As such, you’ll never know that you were attacked until you go to open up the torrent, and your worst fears are realized. As always, it never hurts to be too cautious when it comes to online security and your data. ALERT: Malware is showing no signs of stopping. In the 3rd quarter of 2014, approximately 20 million new strains were created worldwide. This equated to just over 227 thousand (227,000+) new strains per day! The statistical breakdown of infection type clearly shows that Trojans continue to reign supreme grabbing 78.08% of all infections reported. This is followed by a distant second with Viruses accounting for 8.89%, and Worms swallowing the remainder at 3.92%. Trojans continue to be tool of choice for hackers, accounting for 75% of the total infections in 2014Q3, up 12.2% over 2014Q2. PUPs (Potentially Unwanted Programs) garnered a second place finish again with 14.55%, followed by Adware/Spyware at 3rd place with 6.88%, Worms in 4th at 2.09%, and finally viruses with 1.48%. Seeing as there seems to no signs of malware development slowing down, it is crucial that people protect themselves. Make sure you have an up-to-date Antivirus Solution in place. Couple that with Malwarebytes, and you will be solidly fortified from a software standpoint. Make sure that you are cautious when opening email. If you weren’t expecting it, treat it as suspicious. With all the viruses out there, you don’t want to become a victim of the Cryptolocker virus.